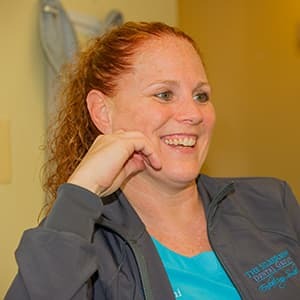 Our dental services in Waldorf, MD will keep you smiling for a lifetime. WHY IS GENERAL DENTISTRY IMPORTANT? Keeping consistent check-ups with your dentist will keep your smile healthy, improve your overall wellness, and save you money. Neglecting the care your smile needs will lead to tooth loss AND can increase your chances of serious health risks, such as hearts disease, diabetes, and so much more! 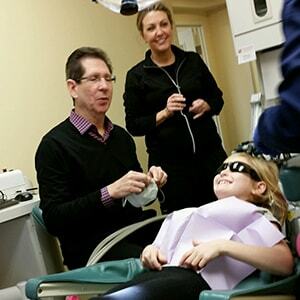 Regular checkups with Dr. Silberman and our staff ensure your smile stays in tip-top shape. When you visit your dentist in Waldorf, MD every six months, we can prevent smaller issues from becoming bigger (and expensive!) problems. Our goal is to make sure you receive quality care in a gentle manner by walking you through your dental care, so you know what’s happening. 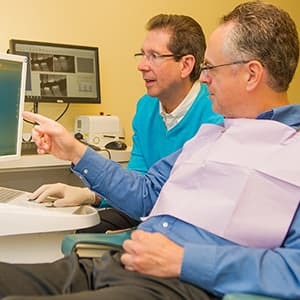 We use non-invasive and digital technology to visually show you what we’re seeing with your smile, so you can trust our diagnosis is open and trustworthy. Browse through what we offer for our preventative and general dentistry services. Dental cleanings by our hygienists are important because they get your teeth cleaner and healthier than your normal home routine of flossing and brushing. 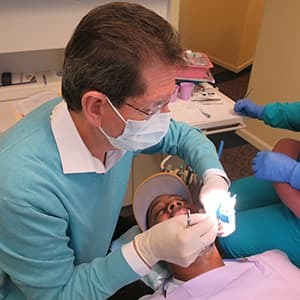 During your regular dental cleaning and checkup, your dental hygienist and Dr. Silberman will carefully examine your mouth, checking for cavities and signs of tooth decay, periodontal disease, oral cancer, and other dental problems. We will also thoroughly clean, rinse, and polish your teeth to maintain optimal dental health. What can you expect at your hygiene appointments? Use of intraoral cameras to get a broader view of the oral cavity. You can immediately see whatever he sees if a diagnosis is made. We strive to help you prevent tooth decay and gum disease to keep your smile radiant and healthy for years to come. When a tooth has decay, a filling is needed to protect your tooth and prevent the decay from spreading. We believe dentistry should be done right the first time, so we use composite (tooth-colored) fillings to ensure they blend naturally with your smile. You can smile with confidence and no one will have to know you received treatment (it’ll be a secret between you and Dr. Silberman). 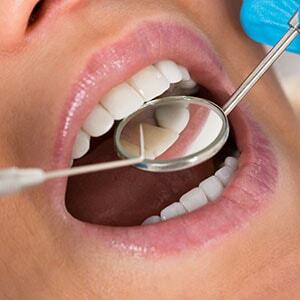 Why choose composite fillings? Watch our video! When a tooth is damaged enough that it can’t support a filling but small enough that it doesn’t need a crown, an inlay or onlay is the preferred method to protect your teeth. An inlay fits inside the outer edge of the tooth while an onlay can cover a small portion of the tooth (going beyond the cusps of the tooth). Whether you’re in need of an inlay or onlay, the team at The Silberman Dental Group only uses the best materials to ensure your dental care lasts for a long time. A sealant is a clear or tooth-colored plastic material that our hygienists will apply to the chewing surfaces of your back teeth, the place where tooth decay occurs most often. A dental sealant can prevent tooth decay by covering the grooves and pits of these chewing surfaces, effectively sealing out any decay-causing germs and food. A tooth extraction is needed when a tooth is so severely damaged it cannot be saved from a root canal or your smile needs to be prepared for future treatments such as orthodontics and dental implants. Your comfort and trust are our top priority, so we’ll make sure you’re comfortable throughout the entire procedure. We even offer sedation dentistry for those who need an extra boost to feel relaxed. Nitrous oxide is also an option that very safely helps a patient to relax during the dental procedure. Root canal therapy is a treatment to repair and save a badly damaged or infected tooth instead of removing it. If you suffer from tooth pain, extreme tooth sensitivity, or localized facial swelling, you may benefit from root canal therapy. 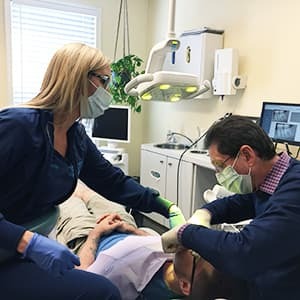 Many people have concerns about root canal therapy but because of dental advancements and local anesthetics, most patients have little if any discomfort with root canal treatment. Root canals are completed in one visit and take between 1 to 1.5 hours. Patients are comfortable throughout the procedure. Patients can listen to their choice of music during treatment and we have known many patients who actually fell asleep during the treatment. Most people require only over the counter medication (if anything) after root canal treatment. You can eat, drink, and even return to work the very same day if you choose to. You will feel fine. Dr. Silberman makes himself available to all patients, no matter what the procedure, any time of the day and evening. 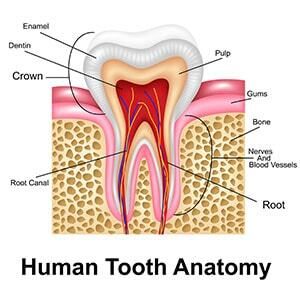 Watch our videos about root canals and why a crown is needed after the procedure. Crowns look and feel just like your natural tooth; porcelain crowns are often favored because the color and translucence closely matches the appearance of natural teeth. For more information on how a dental crown can enhance and restore your smile, we invite you to call The Silberman Dental Group. Learn about our CEREC Same Day Dental Crowns! 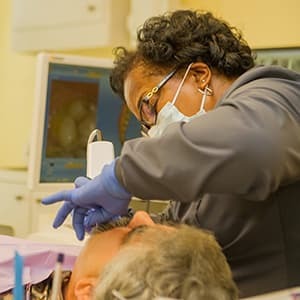 According to the American Dental Association, 41,000 Americans will be diagnosed with oral and throat cancers this year. Oral cancer can be beaten with early detection, and your dentist in Waldorf, MD is your first line of defense to detect the early signs. During your biannual checkup, Dr. Silberman will conduct an oral cancer screening and will discuss with you any concerns he sees. It could save your life! Excellent oral health starts with being educated on what’s going on with your mouth. Watch our videos to learn about the importance of preventative care. We look forward to keeping your smile healthy!